What Happens When a Student Debates a Robot? 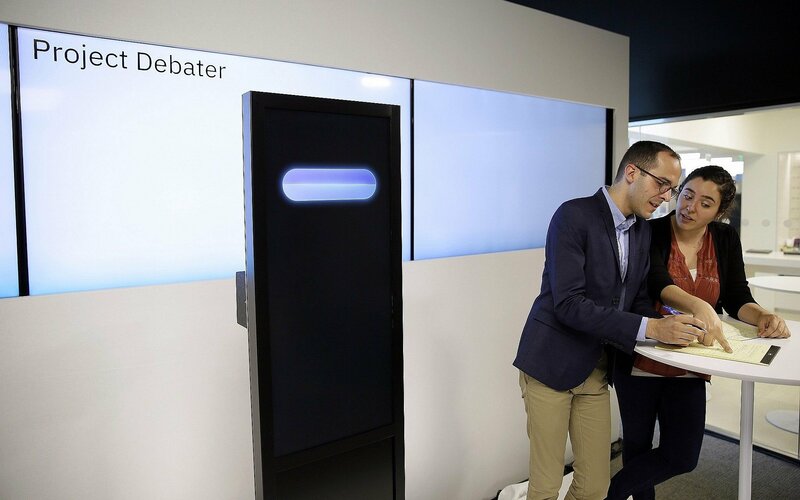 The unexpected outcome when one of my former students engages in an intense debate with IBM's Project Debater. To combat the rise of fake accounts, Garrity believes Twitter should turn to blockchain technology in order to boost the verification process. Last month, one of my former students debated a robot. Ninety-eight percent of the fifty-member audience judged her better on delivery because the robot sounded, well, robotic, while eighty-five percent determined the robot to be more informative. In a fourth debate, Project Debater faced off against Israeli debate champion, Dan Zafrir, on medicine and whether society should increase use of telemedicine. What’s Your Purpose, Project Debater? Jokes aside, how can such a robot make our lives better? To put it another way, what difference would a debating robot make to our world? For one, IBM Research Director Arvind Krishna told Fox News that technology like Debater’s software could help lawyers extract the most viable arguments in a courtroom. Meanwhile, CEOs could use it to shore up presentations on company strategy, and politicians may be able to call upon Project Debater to consider different viewpoints on tricky issues. Then again, intelligence analysts could use this AI technology in counter-terrorism when determining if a particular individual represents a threat. On a micro scale, teachers could use it to help students develop critical thinking skills without one-on-one sessions. The bottom line is that humans tend to be ruled by emotion. A robot can listen to the conversation, take all of the evidence and arguments into account, then present the most convincing and logical stance without a shred of contaminating emotion. A variety of books have come out on how to distinguish between fake news and real news. One article from The Guardian recommended seeing both sides of the Democratic and Republican debate, but that’s easier said than done. Technology like Debater’s software can helps us tweeze out the most salient points of all parties presentations while also discarding irrelevancies and lies. “Can I have [such a machine] in my home? I spend a lot of my time debating with myself the issues that I’m going to talk about next day on television,” Fox News economic and political commentator Stuart Varney inquired. 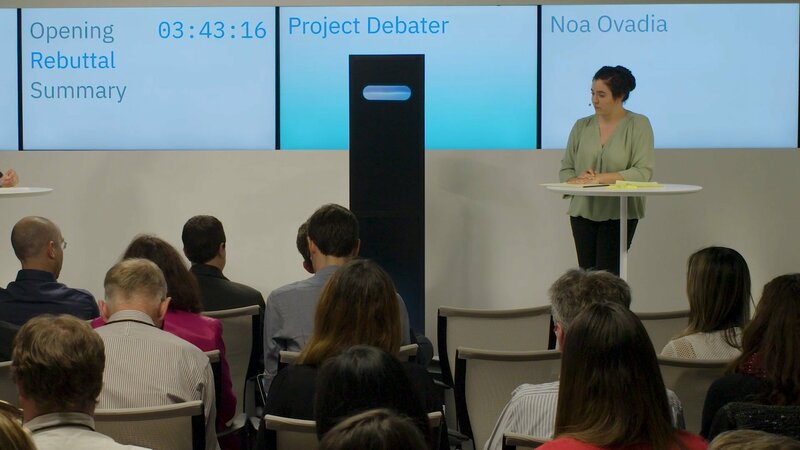 How Does IBM’s AI Debater Work? 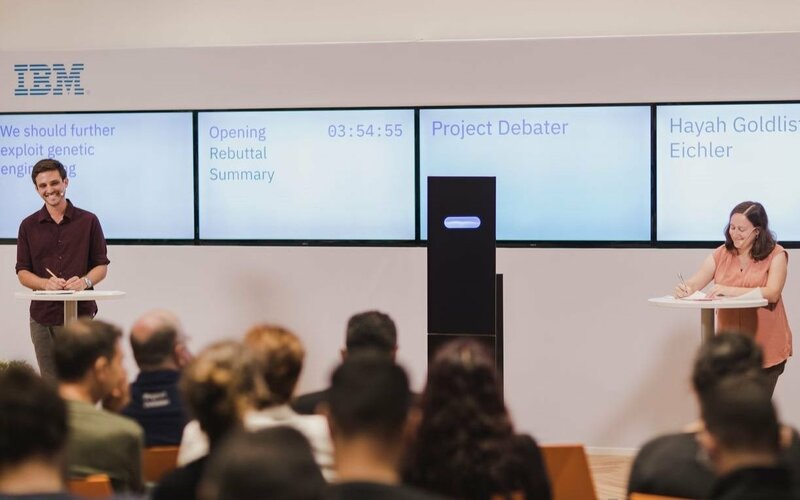 Project Debater works by cobbling together multiple algorithms and AI techniques put out by IBM Research over the last several years. Once the computer is told the topic, it scans millions of news and academic articles, then uses an algorithm to decide which snippets of text are relevant and “argumentative.” Another algorithm cuts repetition. During the debate, a voice recognition system listens to the machine’s opponent, then adds another layer where things could go wrong if the robot mishears. Actually, mishearing is only one of the robot’s various bugs. During the debate, the robot indicated it was primed by mentioning the astronaut Scott Kelly and mid-sentence intonation “voiceover,” indicating that portions of the argument had been taken from a video transcript. The system has only the most rudimentary notion of argument structure and deviates from the main theme. It pays no heed to its audience, nor its opponent, and fails to adapt its language to their arguments. For instance, there was an ad hominem in the second debate on telemedicine where Project Debater struggled with understanding the point its human opponent was making on how important human touch is in diagnosis. Rather than discuss the topic, it suggested that maybe the human was just afraid of new innovation. Additionally, IBM’s AI technology failed 40 percent of previous debates held among other contestants. Fortunately, there’s hope. IBM started this experiment in 2012 and has been rigorously improving its trials ever since.